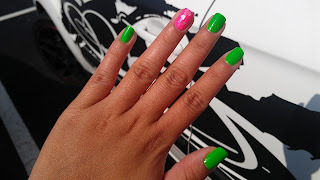 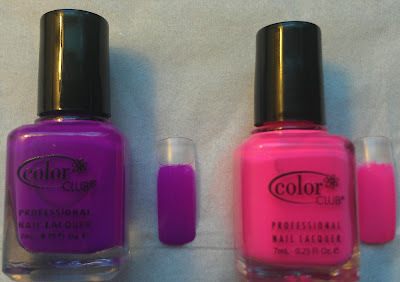 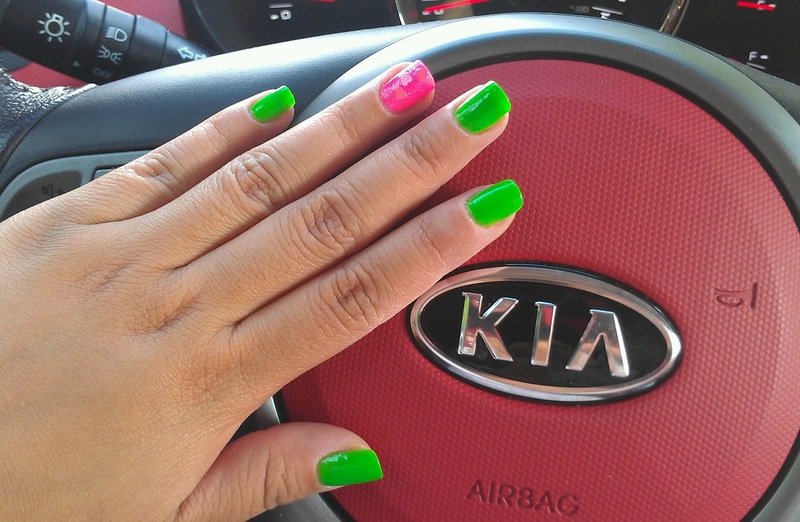 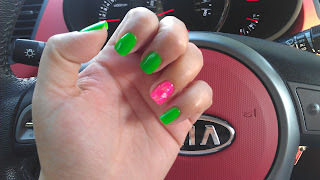 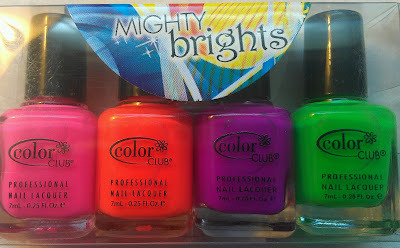 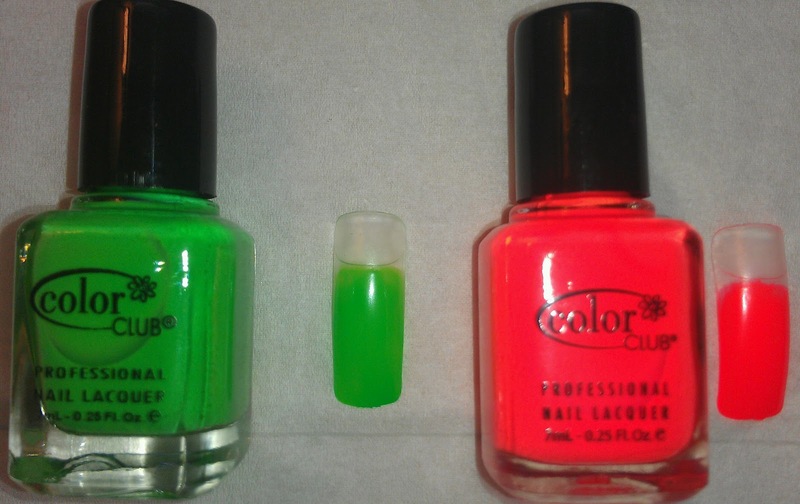 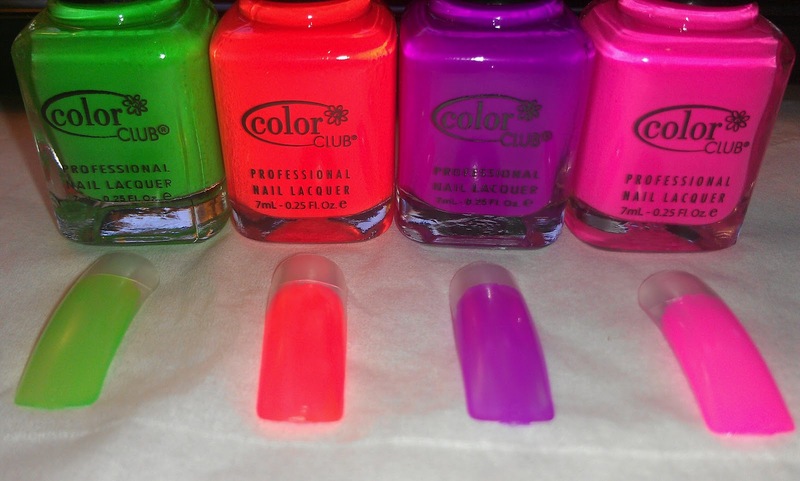 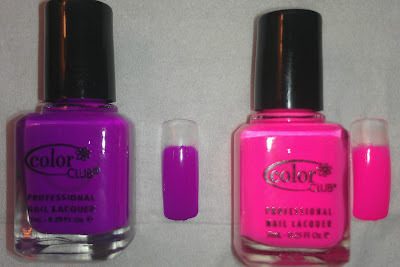 Fiorella's Closet: Color Club Mighty Brights NEON OMG!!! 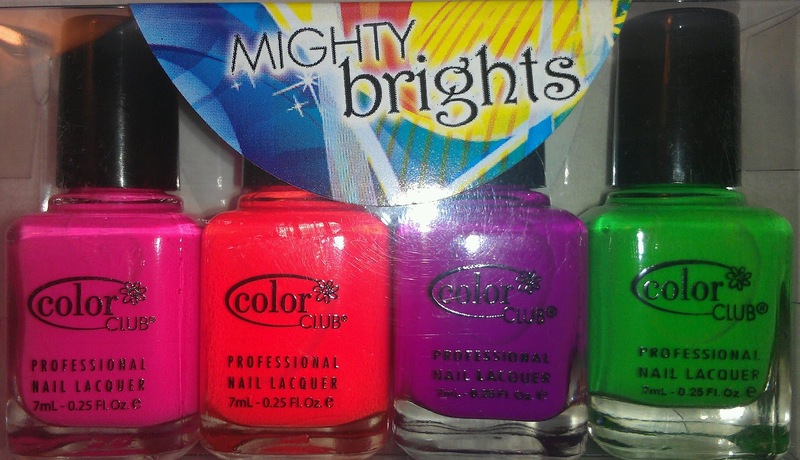 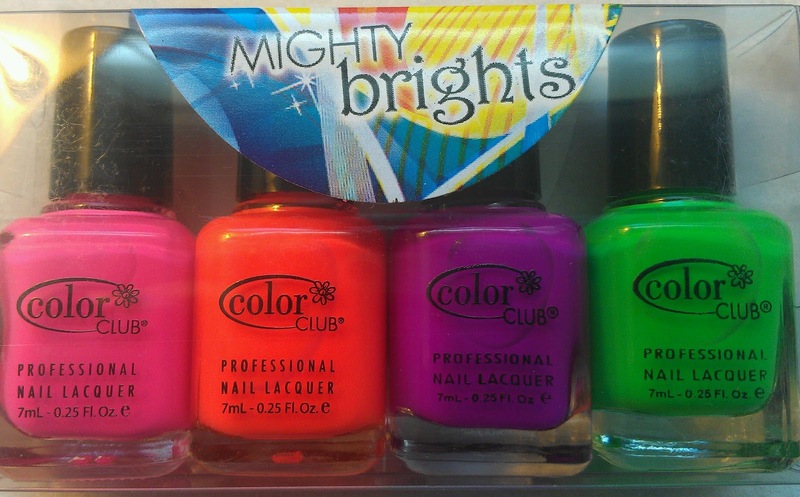 Color Club Mighty Brights NEON OMG!!! 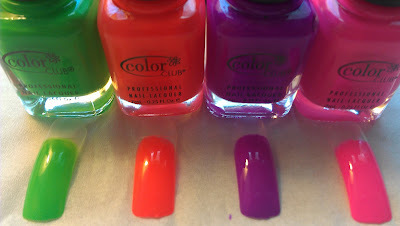 I bought this 4 pack a couple of days ago and homework has kept me busy but finally I had a chance to take some pictures and do some swatches!!! 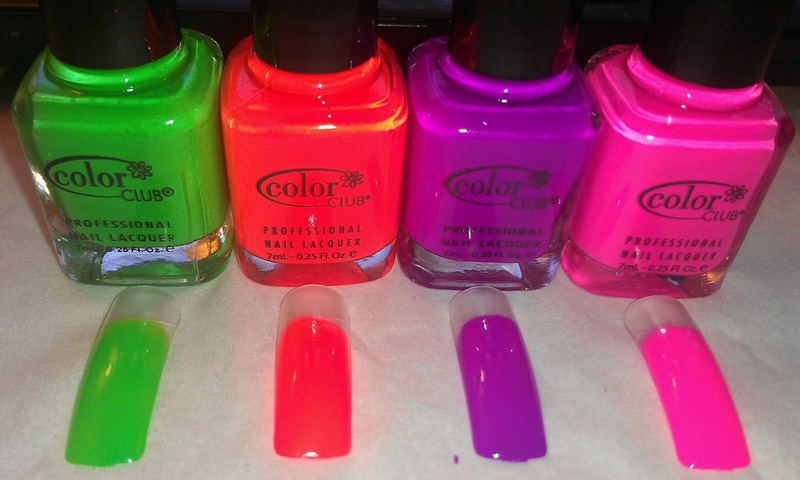 The colors are gorgeous!!! 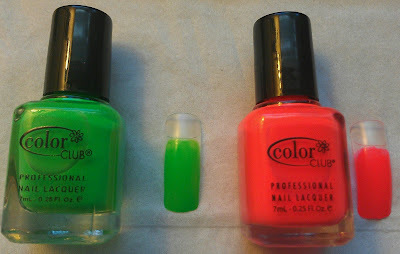 The pictures show the results with two coats, I guess you could do 3 if you want them more saturated/opaque or use a white base. I will probably try a white base when I actually use them on my nails but I wanted to see what they would look like without a base first! These are gorgeous!! 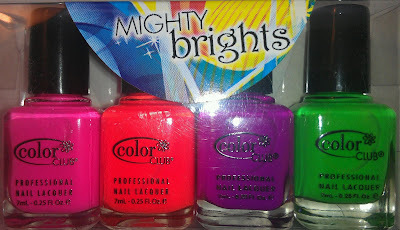 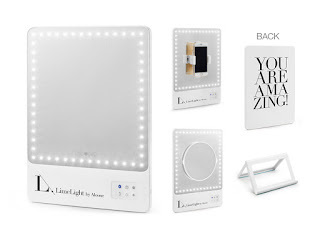 I have seen on some other blogs that they might include one in birchbox this month...you know my fingers are crossed!